The Lawyers and Conveyancers Act (Lawyers: Ongoing Legal Education - Continuing Professional Development) Rules 2013 (CPD Rules) require lawyers who provide regulated services to complete 10 CPD hours each year. The CPD year runs from April to March. Lawyers who hold practising certificates but do not provide regulated services are not required to complete any hours of CPD activities, but will still need to prepare a continuing professional development plan and record (CPDPR) and file declarations to that effect. For more information on this, refer to the New Zealand Law Society's website. Submit a declaration to the Law Society to the effect that they have completed their CPDPR and that they have completed the minimum CPD hours (or that they do not provide regulated services). What activities count to CPD? Not be part of a practitioner's day to day work. Preparing and presenting submissions (e.g. on law reform issues - there are requirements as to the kind). There are several limitations on what can and cannot be included within the above. Of note is the requirement that there be an element of feedback or interactivity. This is relevant to recorded material. A recording without interactivity is not considered eligible. 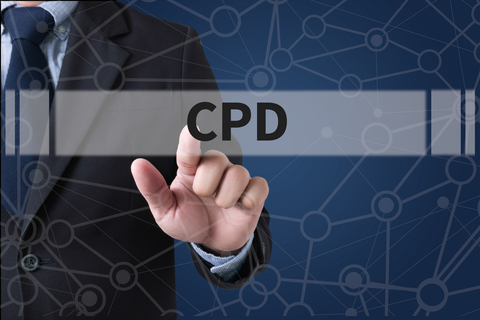 There are several ways to track your CPD activities so that you can include them in your CPDR. The most obvious is to search your email for a receipt or other verification of attendance. The NZBA keeps track of attendance at its CPD events. From 2017 members can see their attendance in their CPD Diary in their Member Portal under the Content Menu on the left had side of the page. Members can also record in their CPD diaries any details of non-NZBA events that they may attend. For attendance at events prior to 2016, please contact us. There is no prescribed format for a CPDPR. It depends on what is needed by the practitioner. However, there are various methods of keeping your CPDPR up-to-date such as online record keeping, using spreadsheets or just sticking to a simple Word document. ADLS Inc also has its own online CPDPR module. If you are not comfortable with online, then you can use the Law Society's templates available on the website. Although the rules do not specify any particular format, the templates provide guidance and reassurance you are on the right track. There is a sample plan for general practice on the Law Society's website. For more information, click here. Each year the Law Society will examine a sample of lawyers' CPDPRs and documentation to verify they have met the requirements. If a lawyer appears to have misunderstood the CPD Rules, assistance and education will be offered by way of correction. However, a knowingly false declaration of compliance will be referred to a standards committee for inquiry under the Lawyers and Conveyancers 2006. The CPDPR may be required by the standards committee for consideration at this stage.